Let us be the generation that reshapes our economy to compete in the digital age. Let's set high standards for our schools and give them the resources they need to succeed. Let's recruit a new army of teachers, and give them better pay and more support in exchange for more accountability. Let's make college more affordable, and let's invest in scientific research, and let's lay down broadband lines through the heart of inner cities and rural towns all across America. This chapter will discuss how the array of tools in the emerging social media sector within unified communications can benefit government from elected officials to city, state, and federal agencies. Integrating communications tools from video to audio to instant messaging (IM) to social media into the workflow of government operations and delivery of services strengthens the bond between government entities and the citizens they support. As the citizenry has evolved to employ Internet tools and technologies, the demand for engagement and meaningful interaction has risen. Unified communications tools today are everywhere, and relationship management, in any form, requires maximizing use of all available resources. It's important for government to use every available tool. Some of these services have been in operation for many years; we'll begin by framing how these tools have merged with unified communications technologies. Chapter 3 explored the evolution of convergence and how it has placed us at the beginning of Communications Enhanced Business Processes (CEBP). We human workers are more productive when we are well‐connected to resources. We're able to think and respond more quickly and creatively. Our work procedures are simpler to accomplish when we have easy access to helpful tools. Tools allow us to focus on the tasks we need to complete. Just as a government agency focuses on its core mission, personnel perform better when all their energy is concentrated on primary work objectives. Convergence has been one of the biggest drivers of this increased productivity for the past 10 years. There will always be room to further integrate for efficiency. Today, we're seeing integration of media (pictures and video), presence, availability, status, and location as contextual facets of our online presence that couple tightly with unified communications. In our personal lives, these lifestreaming tools enrich our personal relationships. In work life, for government agencies, they provide meaningful context in relationships with citizens and create an atmosphere of closer engagement. Social media, or social networking, is a broad descriptor for technologies that enrich interaction between users in ways that leverage current technologies. Social media covers a broad spectrum of services. Participation: social media encourages contributions and feedback from everyone who is interested. It blurs the line between media and audience. Openness: most social media services are open to feedback and participation. They encourage voting, comments and the sharing of information. There are rarely any barriers to accessing and making use of content – passwordprotected content is frowned on. Conversation: whereas traditional media is about "broadcast" (content transmitted or distributed to an audience) social media is better seen as a twoway conversation. Community: social media allows communities to form quickly and communicate effectively. Communities share common interests, such as a love of photography, a political issue or a favourite TV show. Connectedness: Most kinds of social media thrive on their connectedness, making use of links to other sites, resources and people. Figure 4.1 provides a glimpse of the staggering array of social media network tools. As we spend time in the workforce, our network (human network, not the infrastructure) may become our most powerful tool. It represents an amalgamation of our family, friends, coworkers and colleagues, customers and citizens we interact with, partners, and more. The Web 2.0 revolution that has been ballyhooed about for the past few years could never have taken place without unified communications technologies. Social media networking tools are an integral part of that technology family. Whether we maintain these contacts through Twitter, Facebook, text messaging, IM, or video and picture sharing, the growth and penetration of unified communications technologies provides the foundation. Figure 4.1: Major services in the social media network sector. Social media is a core component of unified communications. It's a mechanism for agencies to communicate with citizens, staff, and partner agencies. Just as failure to embrace and leverage these tools is having deleterious impacts on for‐profit businesses, overlooking social media can broaden the communications chasm between government agencies and the citizens they support. Unified communications is really a description of the evolution of telephony coupled with the integration with other data, video, and information resources of the network. Government leaders recognize how unified communications tools enable real‐time contact throughout the work day with family, friends, colleagues, and citizens. With the communications technologies described in earlier chapters and the rise of mobile broadband networks, universal connectivity is something that many citizens and government employees take for granted. Although Internet connectivity hasn't quite reached the global ubiquity of the Public Switched Telephone Network (PSTN), many of us assume it will always be available. As we look at current technologies, the practices of placeshifting and timeshifting work or communications is quickly becoming a societal norm. Placeshifting is simply doing our work wherever we are at any given point in time. Government executives often shift their work from the office to meetings, seminars, and anywhere their Blackberry provides service. Given the widespread adoption of these tools and their acceptance within government, agency employees have, in many cases, become digital nomads, searching for connectivity instead of water. Peter Lamborn Wilson also writes under the pseudonym Hakim Bey. Bey refers to the nomadic high‐tech workers of today as Tazarites. His paper entitled "The Temporary Autonomous Zone" (http://www.hermetic.com/bey/taz_cont.html) provides an interesting perspective on how digital nomad workers, even inside government agencies, are reshaping the way we work and how we deliver service. A Temporary Autonomous Zone (TAZ) is frequently a community of artists, or revolutionaries….writers or guerillas…philosophers or rebels who live in modest areas, and seize life. They do what they do because it is their world. They believe in their work, their art, and their lifestyle. A TAZ is not planned. Rather it happens like spontaneous combustion. You cannot architect a solution. There is no measure of critical mass when synergy reaches the point that you suddenly have a TAZ. That mindset often mirrors the high‐tech nomadic life style of today's road warriors, and it's occurring regularly inside government agencies at all levels as individuals adopt emerging technologies in their personal lives. These personal‐life technologies enter the government agency culture, not through planning, but through human osmosis. Perspectives on social computing in the workforce are changing. Not long ago, both government agencies and enterprise businesses shunned these tools as detractors from productivity. Many agencies banned by policy or blocked social media sites at work through access control lists (ACLs). What organizations have learned is that rather than degrade productivity, these tools revitalize the image seen by the public. In business, individuals may become the de facto voice of a company. In both government and business, these evangelists strengthen public communications and humanize the organization. The convergence of social media and what we now call Web 2.0 services has also created a groundswell of change, resulting in both Enterprise 2.0 and Government 2.0. Government is permeated by both social media and unified communications. The emergence of these socially interactive services has become part of the workforce culture at all levels. Ignoring valuable communications tools in wide acceptance throughout the world is both fruitless and counterproductive. To ignore it rather than embrace it would be foolish. Government leaders are now looking for ways to integrate social media networking tools into government processes and services to benefit managers, staff, other agency partners, and citizens. "Social computing is not a fad. Nor is it something that will pass you or your company by. Gradually, social computing will impact almost every role, at every kind of company, in all parts of the world.‟—Forrester Research, "Social Computing—How Networks Erode Institutional Power, And What To Do About It"
There are a number of resources available when exploring integration of these technologies into agency plans and roadmaps. Government can leverage the power of the lessons learned by the private sector and make use of those resources. Chris Brogan (www.chrisbrogan.com) is President of New Marketing Labs, a new media marketing agency and home of the Inbound Marketing Summit conferences and Inbound Marketing Bootcamp educational events. He works with large and midsize companies to improve online business communications like marketing and PR through the use of social software, community platforms, and other emerging Web and mobile technologies. In his recent book, Trust Agents, Chris and coauthor Julien Smith describe how to tap into the power of social networks to build a brand's influence and reputation, both vital to government service agencies. Today's online influencers are Web‐savvy digital workers who trade in trust, reputation, and relationships, using social media to accrue the influence that builds up or brings down organizations. The book shows how people use online social tools to build networks of influence and how to use those networks to positively impact operations. Because trust is crucial to building online reputations, those who traffic in it are "trust agents," the key people your agency needs on its side. When asked the question "What would you say is your best definition of social media and its business usefulness?" Brogan responded, "Tools to enable rich many‐to‐many communication. Best business value: empowering understanding, learning, and participation." Note: The preceding question was asked and answered via Twitter, a social networking tool we'll look at later in the chapter. Your professional relationships are key to your professional success. Our mission is to help you be more effective in your daily work and open doors to opportunities using the professional relationships you already have. This isn't networking—it's what networking should be. Forget exchanging business cards with acquaintances that don't know your work, or trying to renew professional ties when you need a favor. Leveraging referrals and professional connections, LinkedIn lets users build personal networks based on trust and trusting those within our individual circle of trust. This reputation system method of networking is built upon circles of trust. It delivers an excellent method for collaborative filtering of users and information through shared opinions and recommendations. Reputation systems are quite common in Internet services; both YouTube and Flickr are good examples that focus on specific areas of interest. 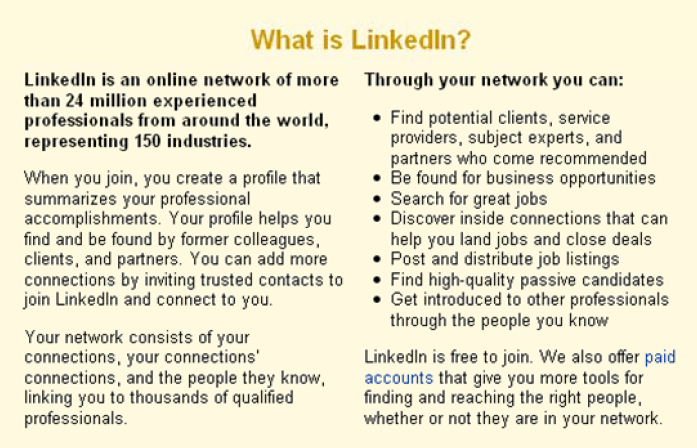 Figure 4.2: What is LinkedIn? The connections we make throughout our lifetime originate from countless sources. The connections agency staff posses may come from anywhere. People reach back to grade school, high school, and college, often maintaining childhood friendships and bonds. Serendipity renews old connections at a seminar or training class. The connections we make are the lifeblood of our long‐term professional relationships. In some ways, LinkedIn follows the concept of "six degrees of separation," referring to the mathematical theory. This theory speculates that every person is a single step (or degree) away from every person they know personally, two steps away from each person they know, and so on. Following this mathematical premise, every person on earth is connected to every other by an average of six degrees. The popular college game Six Degrees of Kevin Bacon drew both attention and popularity to this theory. LinkedIn gives us a schema for managing and maintaining our network of contacts. If businesses use Customer Relationship Management (CRM) tools, government agencies may use the same tools for Citizen Relationship Management. It may serve to look at systems like LinkedIn as Contact Relationship Management. The power of CRM touches many levels, and the exponential power of our individual connections is impressive. A personal network of 200 or so connections quickly swells to a network of more than 3 million potential contacts. The power of the agency often lies deeply rooted in the knowledge and power of its executive leadership, managers, and staff. Agencies that support staff use of these tools encourage employing that power to the benefit of the agency. Among business professionals globally, there are thousands of special interest groups. As individuals, we often don't even fully recognize all the groups we're a part of. We have interests that change over time, yet many remain lesser interests for all of our adult working lives. Conferences, colleges, past employers, and many other opportunities to interact put us into special interest groups that, without social networking tools, often go undocumented and are impossible for us to capture. Groups are just one of the powerful tools that socially‐oriented networks such as LinkedIn provide to more effectively manage our relationships and interact with citizens, colleagues, and partners in government. Figure 4.3: Examples of government groups on LinkedIn. In February 2004, founded by Harvard student Mark Zuckerberg, Facebook began operations. What began as a simple network for students at Harvard University quickly rippled across the Ivy League. Today, Facebook stretches to companies, schools, cities, government initiatives, and much more. Individuals can add friends, exchange messages, and share information about themselves, their lives, work, and interests. Baby boomers have been one of the fasting‐growing user segments on Facebook for several years, moving the focus from student life to a blended balance of work and personal life. As we've seen throughout this guide, work and personal life have been interleaving in new ways. The standard nine‐to‐five workday isn't always the norm. With laptop computers, mobile phones, and widespread wireless network services, our work and home lives extends across all hours of the day and every place we might visit. For many professionals, the personal and business networks form one amorphous collection. Facebook supplies a means of easy cross‐pollination between all human interactions. For government agencies, at all levels, there is tremendous power in meeting citizens on common ground. In Chapter 1, we touched on the concept of the agency self‐service portal as the lobby for citizens to come meet with their government representatives. Facebook presents the reverse opportunity. With tools such as Facebook, agencies can establish a presence in the digital community where citizens interact with each other. Government can become an active participant in the conversation, engaging directly with the public. In Figure 4.4, we see a screenshot for the Indiana Department of Homeland Security. DHS has become a vital communicator of information to the community in the past several years. It presents a great example of an agency that often has information to convey to citizens but also has a need to listen to and interact with the public. Although the agency still maintains a dedicated Web site at http://www.in.gov/dhs, Facebook provides an interactive community forum that augments other Web services. Figure 4.4: The Indiana Department of Homeland Security on Facebook. Facebook provides an events management tool that's being widely used. It's proving popular among many interest groups. Although it began as a vehicle for students to share study groups and parties, it has become a powerful business tool that government agencies can use for free. In Figure 4.5, we see an example of civic events where the public can find more information, indicate attendance, ask questions, and gain information. Figure 4.5: Government­supported events on Facebook. The ability to interact and connect with others participating in a shared event is a powerful tool. As these tools become more widely adopted by the public, government agencies have an opportunity to lead initiatives to move into areas where citizens meet and interact— online. Whether we call it Government 2.0 or something else, it's clear that technology is influencing how agencies interact with the citizens they serve. Tools such as Facebook cost nothing in capital investment. The service is free to use. The only requirement of any agency is a small effort to use the tools and the minor staff resources needed to manage the agency presence. Agency managers should leverage every opportunity to extract ROI from solutions such as Facebook that require no substantial investment. The Agricultural Age—Work life came from the land. Whether in small nomadic tribes of hunter‐gatherers or peasants farming a nobleman's lands, work life centered on agriculture. The Industrial Age—Machinery changed work. Incandescent lighting changed the work day by artificially replacing the sun, enabling work around the clock. Work life was tied to assembly lines, manufacturing, and three work shifts per day. The Pre‐Information or Communications Age—The beginning of this age overlapped with the Industrial Age. Radio, television, and the telephone dominated communications. In the Communications Age, voice and data technologies gave rise to the growth of the information services economy. Although the term Information Age has long been bandied about and is oft ill‐defined, the impact of information technology and communications tools is undeniable. As technology has quickly progressed, government services are now at what might be called the Knowledge Age. Knowledge Management (KM) is a large topic that could fill many books, so we'll use a very simple example to set the framework. KM is important because it provides an approach to information management. Figure 4.6 provides an example of one simple KM theory known as the DIKW Model. Figure 4.6: Types of knowledge—data, information, knowledge, and wisdom. Tools for data mining and information management are plentiful. Advanced tools can extrapolate what might be viewed as wisdom from information using automated systems. These bring powerful efficiencies to government operations. Computerized systems can accomplish most of the work. Wisdom, however, is a human element that cannot be created or imposed by machines. Knowledge can't truly be managed. It can be organized, compartmentalized, shared, and absorbed. It can be processed by staff personnel, the human capital of government agencies. These knowledge age workers share constantly throughout the work day. The most powerful knowledge management system isn't a software application that can be purchased. It's free. Free. It's the network of colleagues, citizens, and partners we interact with on a daily basis. The social networking applications gaining momentum across the Internet represent the individual network as a knowledge resource. One high value of communications technology, perhaps a key value of the Internet, lies less in the information storage schemas and more in connecting people. As our social networks grow, each individual brings more information into the knowledge resource center. The base of wisdom built in social networking is institutional knowledge and memory. The human resources within any agency represent the strongest resource and a massive data repository. Extracting that information from people is the biggest challenge the KM industry faces. Machines can't interpret it today, but the taxonomy of human knowledge is growing and the ability to index and search social conversations in real time is becoming a real technology. Unified communications technologies are enablers for agencies to deliver services to citizens in cost‐effective and efficient ways. Emerging social networking technologies present a human interface to resources and a powerful tool for delivering and receiving information. Government agencies must embrace and adopt every possible tool when serving citizens. Social networking tools have been in widespread use for many years. What began as personal and business tools or hobbyist special interest programs have evolved to become powerful tools in the unified communications arsenal. Sharing of information in open dialogue with citizens creates a tighter bond. Trends in both the industry and public sector use show that customer satisfaction—citizen satisfaction—is higher when information is broadly disseminated. From legislative staffers sharing information about bills in progress to agencies sharing public service program information, the power of social tools highlights another valuable resource to agency unified communications tools. As we saw in Chapter 1, self‐service applications automate for efficiency and cost reduction. Automated tools simplify processes that are known, but they cannot address every information query. They augment staff resources with technology. Other solutions like teleworking, call centers, and social tools provide support mechanisms that make the agency workforce more efficient and productive in delivering and sharing information with citizens. Next, we'll explore a few examples of how these tools have been used effectively in different government activities and consider how we might extend these proven successes for agency operations at different levels of government. For example, President Obama has embraced technology as a tool for the Executive Branch and demonstrated commitment to using these tools to the best advantage. Presidency was unsuccessful, the stage was clearly set for the 2008 election campaigns. Since then, many political campaigns have adopted Dean's strategies. Barack Obama took the lessons of the Dean campaign to heart and conducted the largest viral campaign of fund‐raising on the Internet that American politics has seen. Barack Obama raised half a billion dollars online in his 21­month campaign for the White House, dramatically ushering in a new digital era in presidential fundraising. In an exclusive interview with The Post, members of the vaunted Triple O, Obama's online operation, broke down the numbers: 3 million donors made a total of 6.5 million donations online adding up to more than $500 million. Of those 6.5 million donations, 6 million were in increments of $100 or less. The average online donation was $80, and the average Obama donor gave more than once. "You looked at the money being raised online in the same way that you looked at the crowds who came to the rallies," Joe Rospars, the 27­year­old director of Obama's newmedia department, told The Post. "You were constantly surprised at the number of people who were coming out to see him," and, when it came to online donations, "people exceeded our expectations as to what they were willing to do." Although government agencies aren't for‐profit operations, the need to call citizens to action is compelling. Social networking engagement brings something more powerful than dollars to the citizen‐government interaction. It brings the citizens' attention. Whether it's a local community health agency promoting a blood drive, a state or provincial transportation agency sponsoring a seat belt campaign, or a federal tax agency recommending electronic filing of taxes, the power to capture citizens' attention is one that government cannot overlook. When President Obama's inauguration ceremony took place, Facebook paired with broadcast television (CNN) to enable nationwide participation and conversation around the event (see Figure 4.7). While CNN was looking to bolster its faltering Web properties, the power of the town hall meeting atmosphere took hold of citizens on Facebook, delivering unprecedented participation worldwide in the inauguration ceremonies. Facebook users were able to watch the ceremonies live while chatting online with either their own personal network of colleagues and friends or everyone watching the inauguration. Figure 4.7: The Obama inauguration on Facebook. Just as the government portal described in Chapter 1 can be the lobby for government, Web‐based services can transform the idea of the town hall meeting into an event of global significance. Government agencies can leverage the town hall meeting framework for everything from real town hall meetings to employee staff meetings to school closure announcements to committee meetings open to the public. The power of the online town hall is in proactively taking government online to the citizens in serves. In times of national concern, the President has always been a leader people listen to. President Franklin D. Roosevelt began using fireside chats in 1929 during his first term as Governor of New York. These radio chats became a powerful means of communicating with citizens during the Great Depression, as President Roosevelt delivered fireside chat addresses from March 12, 1933 to June 12, 1944. Today, the radio broadcast medium is powerful but doesn't dominate the ear of the world as it did in the past. There's another audio technology that has penetrated deep into society in the past 10 years—the iPod. Although the iPod device may be symbolic of the widespread adoption of one product, it represents the entire genre of MP3 audio. People listen to audio podcasts on iPods and other players, televisions, computers, car radios, and every conceivable device. In the United States, the healthcare system has been a subject of great public debate and attention. Congress has spent many sessions drafting recommendations for reform. President Obama addressed the nation over the online airwaves in 40 Minutes for Health Reform on BlogTalkRadio (http://www.blogtalkradio.com/40mins4health). Unlike Roosevelt's fireside chats on the radio, this conversation took place using Internet‐based unified communications tools on the Web (BlogTalkRadio). This presents another example of how government leaders can share news, thoughts, and plans with citizens. The Obama administration has embraced technology like none preceding. Through online audio and video, the White House Web site (http://www.whitehouse.gov/) is now a multimedia source of information available in real time and for on‐demand replay. Video and audio recordings of past briefings as well as live broadcasts keep citizens informed of many issues. Local, state, and federal agencies all have the tools to build similar information‐sharing platforms. Unified communications solutions support audio and video technology integration. Telephone systems can record audio for podcast delivery of important information. These recorded updates can be made available to callers into an agency call center automatically; they can also easily be broadcast via the Internet so that citizens can hear the information firsthand from their government using the same tools now being used by newspaper, magazine, radio, and television journalists and editors. Twitter is a highly‐popular microblogging service. It recently gained great attention through celebrities such as Oprah Winfrey, Ashton Kutcher, and Ellen DeGeneres, but Twitter holds a powerful place in government as well. A recent example of how tools such as Twitter impact government involves a visit between California Governor Schwarzenegger (@Schwarzenegger—http://twitter.com/schwarzenegger) and the founders of Twitter at the company's headquarters. Governor Schwarzenegger wants to convert the collective intelligence of California Twitter users' ideas into action items that California state agencies can address. Schwarzenegger announced the launch of Myidea4ca.com (http://myidea4ca.com/). This Web site will index ideas for the California state government that are submitted via Twitter and flagged with the hashtag identifier #myidea4ca. Whatever preconceived notions of Governor Schwarzenegger as a flamboyant former actor one might have, a perusal of his Twitter stream shows events he's speaking at or hosting and provides a great deal of insight on where his work as Governor is focused. It's clear that the Twitter phenomenon is being adopted with widespread success by government officials and agencies. The next step is to formally integrate its use into policies and procedures within agencies and build it into the communications infrastructure support of the government communications framework. In his research for Twitterville: How Businesses Can Thrive in the New Global Neighborhoods, Shel Israel interviewed hundreds of business and government leaders. In the introduction, Israel describes Twitter using the telephone as a metaphor. As Chris Brogan, one of Twitterville's most respected pioneer­champions, likes to say, "It's very much like a telephone." He's right, and the telephone is a good starting point, but it seems to me that Twitter is more than that. Brogan maintains that Twitter, like the phone, is a personal communications tool. And you can use it to conduct any conversation you choose to discuss. Those conversations, however, are usually private on the phone. You can talk privately in Twitter through a feature called direct message, or DM. Yet in most cases, Twitter works best when it is public and anyone can see what you are saying, so that anyone can respond to what you say or retweet it. Twitter is also superior to a telephone for meeting new people. When a stranger calls you on the telephone, it is usually to try to sell you something you don't want. The practice got so out of hand on the telephone that laws have been created to constrain telephone peddlers. But on Twitter, meeting strangers can be both enjoyable and valuable. If you meet someone you'd prefer to avoid, there are filters and functions that work relatively well at keeping that person away from you. It is almost always an easier experience than receiving a cold call. People use Twitter for personal or business reasons. Many of us find we cannot help but mix the two together, just like many folks do on the phone or face­toface. I've been asked why any employer in her right mind would allow workers to tweet on company time. The answer is simple, and again it's like using a telephone at work or, for that matter, e­mail or a fax: you use Twitter to communicate. The topic is up to you. In personal conversations with Israel, his passion for Twitter as a communications tool for government interactions with citizens is infectious. Social media networking is a worldwide phenomenon that interleaves with unified communications technologies. Government agencies are working hard to integrate these emerging tools into existing work processes and agency applications. The power of increased engagement with citizens through social media presents new challenges. Social media networking presents government an opportunity to increase the Quality of Engagement (QoE) with its citizens. Whether it's cost reduction or increased services through self‐service applications, leveraging staff spread around the country using teleworking solutions, agency‐wide contact centers, or the integration of emerging and social media tools into government workflow processes, it is vital that all levels of government—local, state, and federal— maximize resources through effective implementation and integration of unified communications technologies. Presence and availability concepts supporting the context of workers aren't new ideas. They are becoming key attributes that successful workers must manage. Social media and government services networking are on a collision course. Proactive notification is a vital part of the evolution to CEBP. It's all about making government service delivery and information sharing processes and workflows interact easily with voice, data, and video resources. This is the pattern of convergence for the past 10 years. Multimodal messaging communications addresses remote and mobile workers. It supports ubiquitous, easy access—anywhere and any time. Citizens are growing to expect both private and public sector organizations to be always on, always connected, always ready to deliver services. This is a combination of mobile computing services and enhanced wireless networking. The greatest resource any agency has is the human resource of its staff. In Prometheus Wired: The Hope for Democracy in the Age of Network Technology, Darrin Barney describes the information age as one where humans are not much more than the I/O (input/output) for the technology network. Barney believes that we "feed the machine." With unified communications technologies connecting agency personnel with online resources, the end result is much greater. The government network isn't just a communications tool. It delivers a government data collection engine, gathering input from staff, citizens, and partners to build the largest data warehouse store of knowledge ever imagined.